Should I Consider Multi-Family Investing? Is Multi Family Investing All It's Cracked Up to Be as an Easy Money Maker? Investors just getting their feet wet, dream about investing in large apartment complexes and see it as hitting the big time. Experienced investors see multifamily as the next logical step. Basically, there is a lot to like about this business, and it could offer something for everyone. But there some myths, half-truths or outright lies about this business. There are. Do you know which are true and which aren’t? And are you correct? And like most myths and fables. These can all be found in books and on the internet. Remember, everything you read or see, isn't always true. Multifamily is easy to value. The formula is cake. Net Operating Income divided by Cap Rate equals value. Bam! There is never any confusion about what the property is worth. For all of you left-brain analytical thinkers, this type of investing is made for you. Economy of Scale can be applied here. You only have one roof to fix, one lawn to mow and when one tenant moves out, you aren’t 100% vacant, as opposed to single-family homes. Since none of us like risk in our investments, redundancy of income makes multifamily investing virtually risk-free. Find a good deal and the money is there. People love to invest in big deals. All you have to do is syndicate the deal, and you can buy as big of a building as you want with no money out of your own pocket. Everybody needs a somewhere to live. If the economy goes down, tenants might stop paying their other bills, but they won’t stop paying the rent, and there is always demand to fill your units. You are in control of the value. When investing in single-family homes, you have to wait for the market to appreciate to realize a higher value. With multifamily, you are in control. If you want the value to go up, all you have to do is raise rents and / or cut expenses. This is sometimes called “forced appreciation,” and it’s a no brainer way to go. Point blank, if this is so easy, why isn’t everyone doing it? 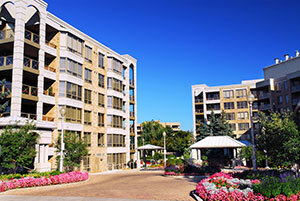 Investing in multifamily isn’t as easy as some want you to believe, but it is lucrative. Just don’t count your chickens before they are hatched. Are any of these myths true? Do you have any other multifamily investing myths?